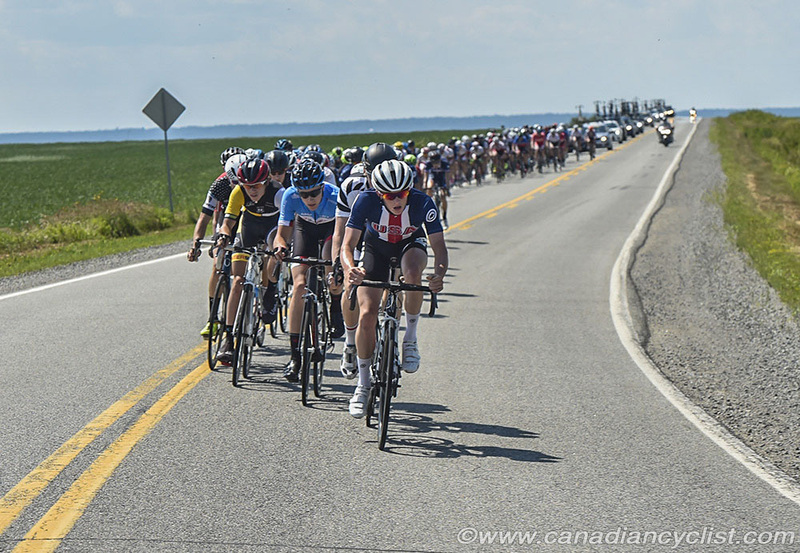 Stage 5 of the Tour de l'Abitibi saw no changes to the overall standings or any of the jersey holders after ending in a sprint finish on Friday. 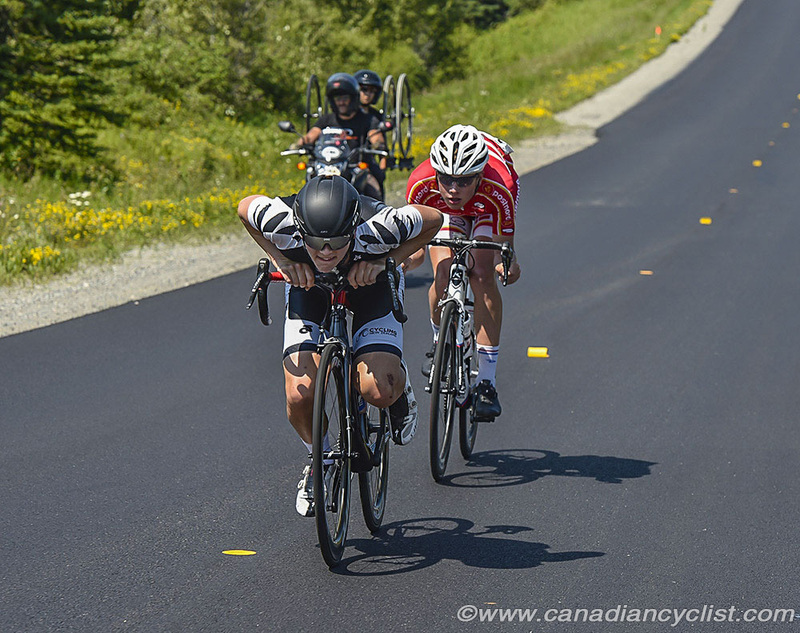 Joshua Anderson of Washington Spin Development took the stage after 100.7 kilometres of racing. Brandon McNulty (Team USA) still holds the overall lead. The stage started and finished in Notre-Dame-du-Nord, on the western edge of Quebec, along the shore of Lake Temiskaming. 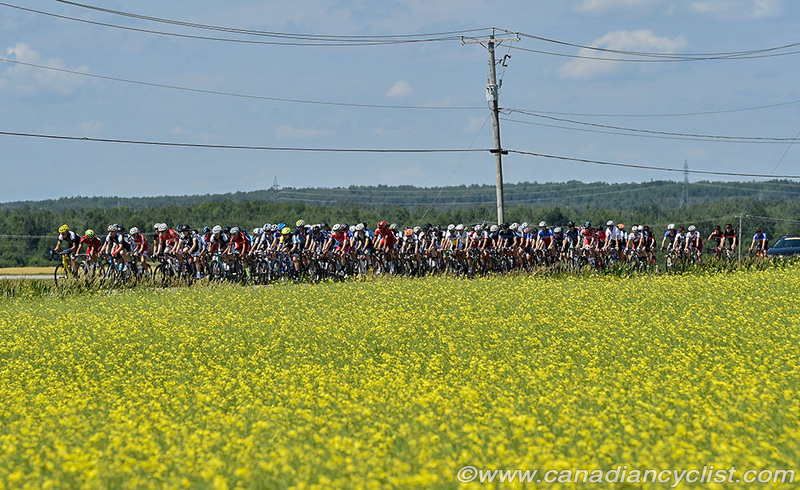 Riders headed slightly east and then south before turning north beside the lake to finish back in Notre-Dame-du-Nord. While there were multiple attacks, Team USA good a good job of maintaining control, and most were brought back before they reached 30 seconds. A crash early in the stage took down nearly half the field, but most were able to rejoin the peloton. In the final 25 kilometres one potentially dangerous move containing three members of the Danish squad got a gap, but McNulty joined it and then Team Canada pulled the peloton across. The finish had the riders come down a fast descent, across a bridge and then up a slight rise before the final 100 metres to the line. Anderson jumped from the left side, while Jakob Egholm (Team Denmark) went from the right, with both throwing their bikes at the line. Canadian Criterium Champion Kurt Penno (Stingray Trek Lacasse) took third. 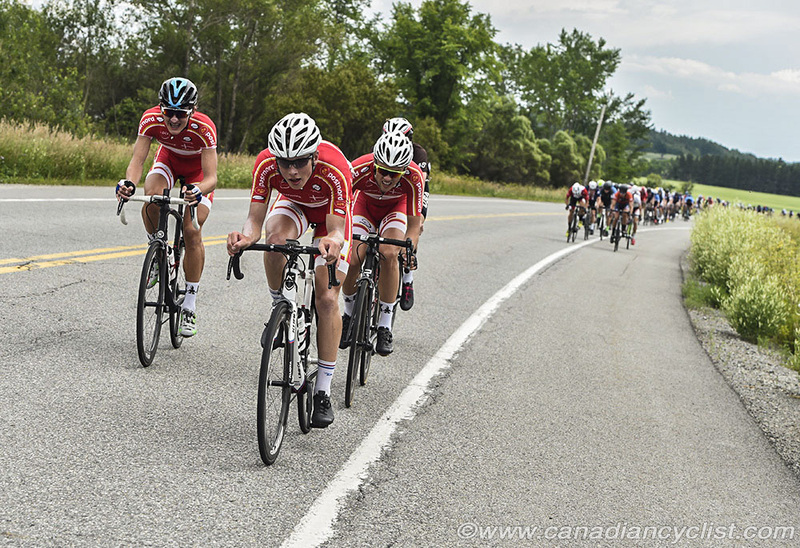 On Saturday, the riders face 109.1 kilometres, starting and finishing in Rouyn-Noranda. The stage is a big rectangular loop that heads east, then north and west, before turning south back to the finish, where there are three laps of the 3.7 kilometre finishing circuit.